Evolution in Action: Students will have the opportunity to analyze real world data to study the process of evolution. The September equinox occurs at 02:29 UTC on September 23, 2014 (9:29 PM September 22, 2014 EST). The Sun will shine directly on the equator and there will be nearly equal amounts of day and night throughout the world. This is the first day of fall (autumnal equinox) in the Northern Hemisphere and the first day of spring (vernal equinox) in the Southern Hemisphere. It's a new school year! Hopefully you had a fantastic summer break and you are ready to try some fresh ideas in your classroom. Fernbank Science Center is here to help you in anyway that we can. 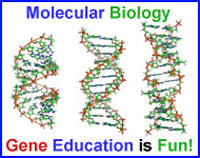 We have many resources available to you to enhance science instruction in your classroom. Take a look around this newsletter to see a sample of what is available. If you have a question or suggestion, then please let us know. species that are often difficult to find elsewhere! Fernbank Science Center will celebrate the 5th annual National Fossil Day with an event on Saturday, October 11th from 12 p.m. until 4 p.m. Activities will include fossil displays, a shark tooth dig, a lecture on predators in the fossil record, and doorprizes. Admission is free for all ages!